​Learn New Hobbies, and Have Fun! 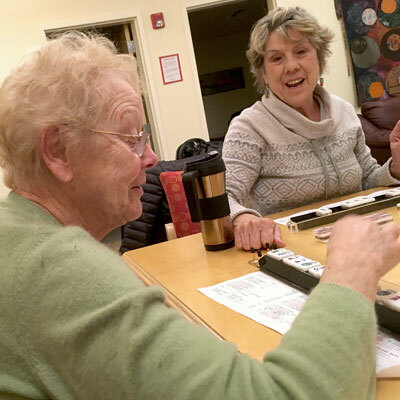 ​The Community Senior Center offers a wide variety of indoor opportunities to explore and take up new arts and crafts, express your creativity, learn and play table games, and stay active while having fun and meeting new people with similar interests. Bridge, mah-jongg and cribbage are among our most popular table games, and we welcome ideas for more we can add to the list. They provide a little challenge and a lot of fun year-round, and our experienced players are always eager to help beginners. 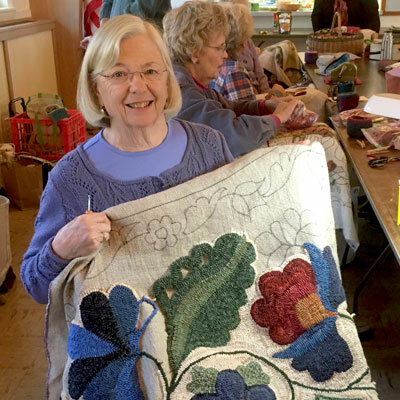 Rug Hooking, Knitting, and Cross-stitch. Skilled volunteers help beginners learn these creative needlecraft arts, while more experienced members add to their ability and enjoyment by sharing their techniques. 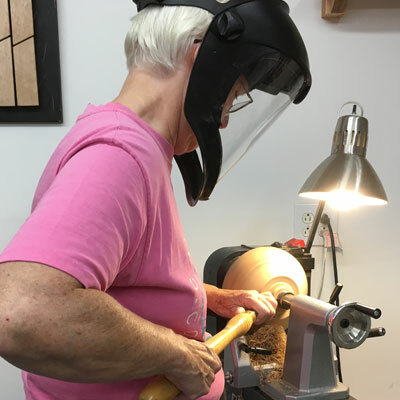 For novices and experienced craftsmen alike, this program is offered at a nearby commercial woodworking shop at different times during the year based on participants’ interest and the shop’s available machine time. 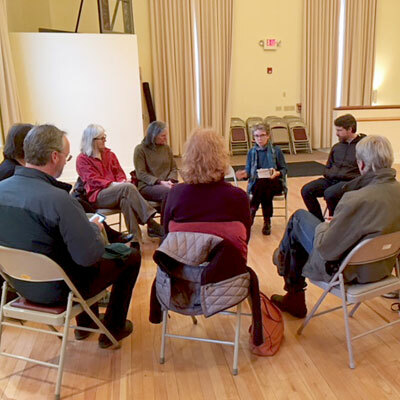 People gather twice each month to read plays aloud. It’s a time to immerse yourself in award winning drama, think more deeply about the plays, and have fun. 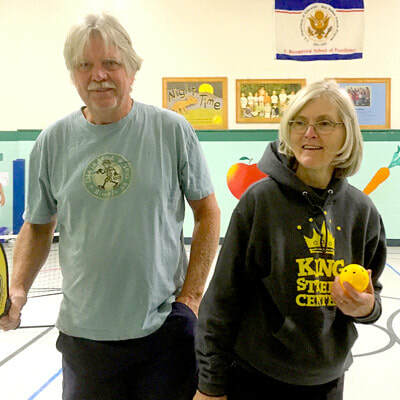 Pickle Ball has been adopted by over two million people internationally, from grandparents to grandkids alike. Opponents play this easy-paced game on a court using a light wooden paddle to pop a hollow ball (think “Wiffle-ball”) over a net and score points much like in ping-pong or tennis. Thanks to our members and our towns, we now have indoor and outdoor sites. 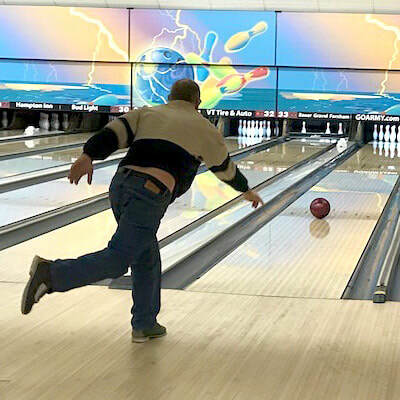 Whether you’re experienced or would like to learn, our bowlers will welcome you for some fun, socializing and light exercise. Members will provide a few tips if you’re new to the game. You can choose to car pool, and time slots are usually scheduled weekly.